The Blues, who have now played a game more than the north London rivals and sixth-placed Manchester United, are on 66 points with 2-7 Spurs on 64 and the 10-11 Gunners on 63. The Red Devils, on 61 points, are 11-4 to finish in the top four. 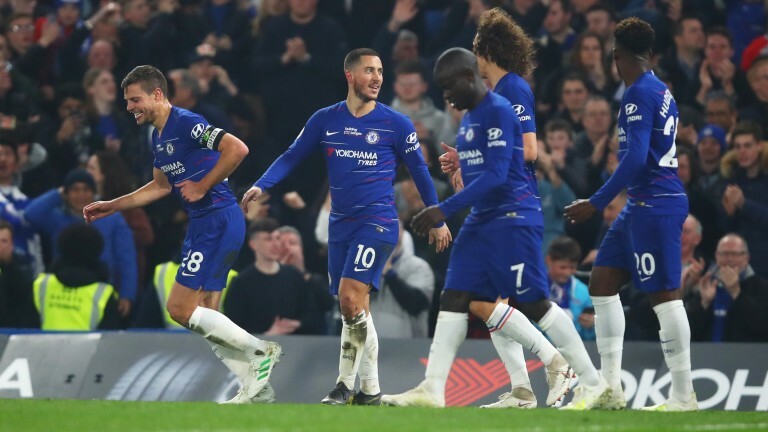 Eden Hazard was the star of the show at Stamford Bridge, with a wonderful individual goal in the first half - when it was virtually one-way traffic towards the Hammers' goal - and a cool last-minute control-and-finish from a Ross Barkley pass to seal victory after the visitors had begun to threaten occasionally. There were plenty of mazy dribbles, efforts on target and delicate passes and touches in between too. Betway have put Hazard's opener in at 12-1 to be declared the best Premier League goal of the season - with Andros Townsend's 30-yard volley for Crystal Palace against Manchester City an 8-13 favourite in the betting, followed by Daniel Sturridge's stunner for Liverpool against Chelsea at 6-10. And the brilliant Belgian, 1-4 with the same firm for a summer switch to Real Madrid and 5-2 to be at the Bridge for the first game of next season, is now as short as 25-1 to be the top Premier League scorer after taking his tally to 16 goals, three strikes behind 7-5 market-leader Sergio Aguero. Mo Salah, 11-4 second-favourite, has hit 18 league goals and Pierre-Emerick Aubameyang, Harry Kane and Sadio Mane have all notched 17.